So what will happen once your website is relaunched? How will it perform in Google and other search engines? What about your 404s and existing links? You need to make sure that SEO is incorporated in the redesign process. 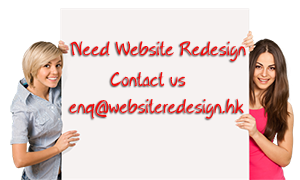 You should ensure your designer and SEO specialist are working together while revamping your website. You should not rush the website relaunch. When you do this, you are bound to miss some important SEO steps that could have dire repercussions on your site’s traffic. It would be unwise to set unreasonable deadlines just so you could relaunch your website quickly. First of all, you should not take your website down. This is a must, unless it only means taking it down for a few minutes so you could launch the new website design. When your visitors see a sign saying that your website is under construction and this runs for a few weeks, then chances are you will lose them forever. Re-analyze your keyword research method. A website redesign is the perfect time to evaluate the strategy you are using in keyword research. Check the traffic that your keywords are getting, and if you are making use of long tail keywords. If not, now might be a good time to give it a try. Maximize on your web content. Each page on your website should have content but they should also be optimized well for SEO. Check your titles, meta descriptions and keyword placements. Don’t risk getting your SEO marginalized. Keep the same URL structure if possible. This is crucial in any website redesign. When you change your URL’s structure you are at risk of losing massive traffic because your inbound links will be rendered useless. Only change the structure if you are using CMS that requires restructuring your URL, if you are reconfiguring your entire search approach or if the current structure that you have is pretty bad. Keep these things in mind before you start your website redesign so you get to retain your traffic. Otherwise, you could lose most of it and you don’t want that to happen right?